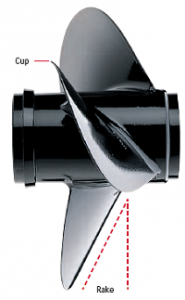 The correct Suzuki Outboard propeller application by model is crucial towards the proper performance of your boat. Every performance measured criteria of the boat including acceleration, speed, fuel efficiency, stability and engine RPM all are affected by the Outboard propeller selection. At the same time considerations are made for operational considerations and conditions will also affect which design, style and pitch of propeller you may choose to correctly match against the individual requirements of your boat. Performance Product Technologies will be happy to assist you with the process to determine the correct propeller for your application.